This plugin allows the user to make a selective selection based on different type of elements by selecting them and adding or subtracting others. This plugin arranges (captain obvious) different opened windows into the same screen or in different ones if you are using an external screen. Stem Thickness obviously shows the thick is the stem in a pointed place. Easy and useful. 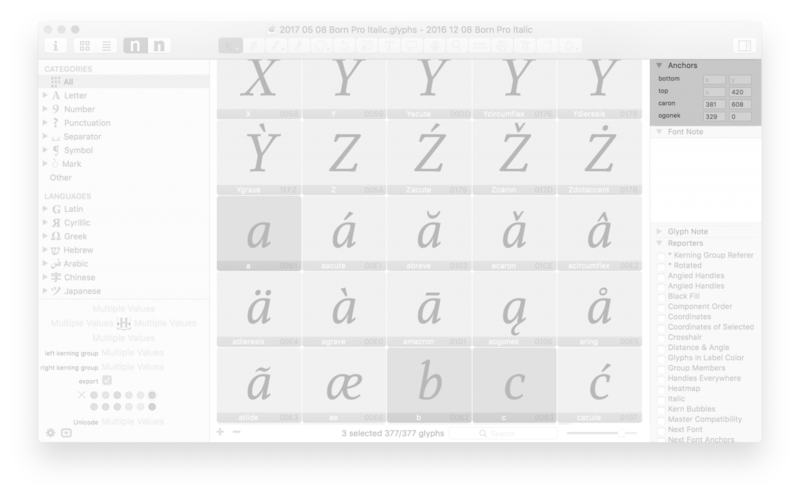 Synced Tabs keeps in sync all tabs from open fonts which allows you to work on different styles at the same time. 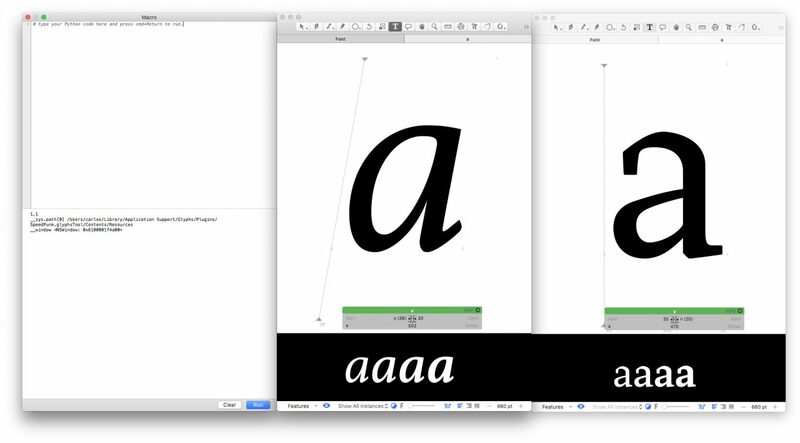 Space Bar gives you a lot more insight into the space of your fonts, specially when you are working on a font with multiple masters. 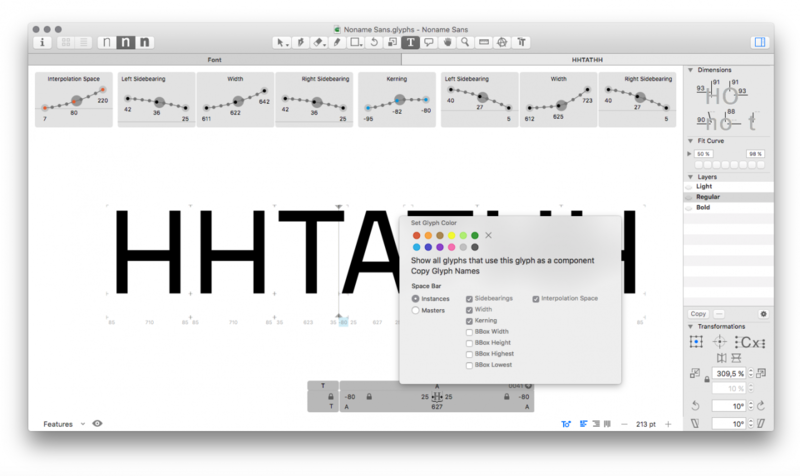 It shows you the defined instances of your font and they are represented by curves. 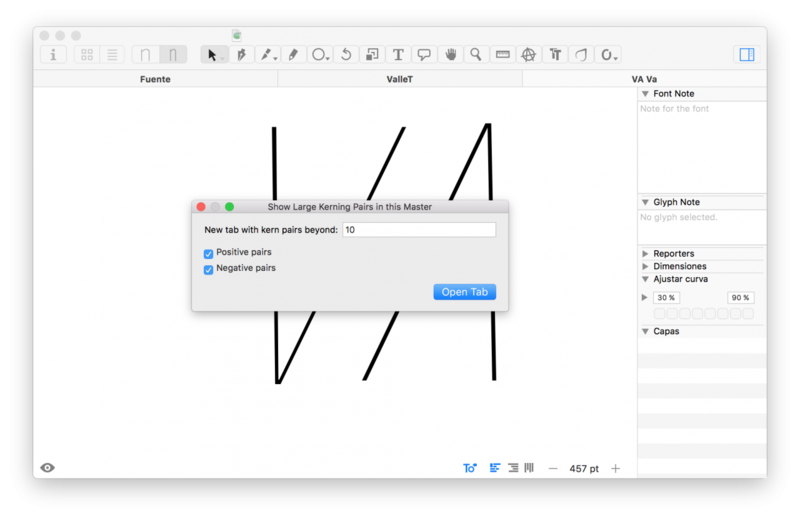 So you can work on one master but controlling somehow the other master values and the general project.Space Bar makes information visible, is a visualization tool. This plugin compared anchors used in two different fonts. Shows in light orange the anchors used in the glyph of the next font and in gray the current font anchors. If names and quantity matches it will show a “Ok” message in green. 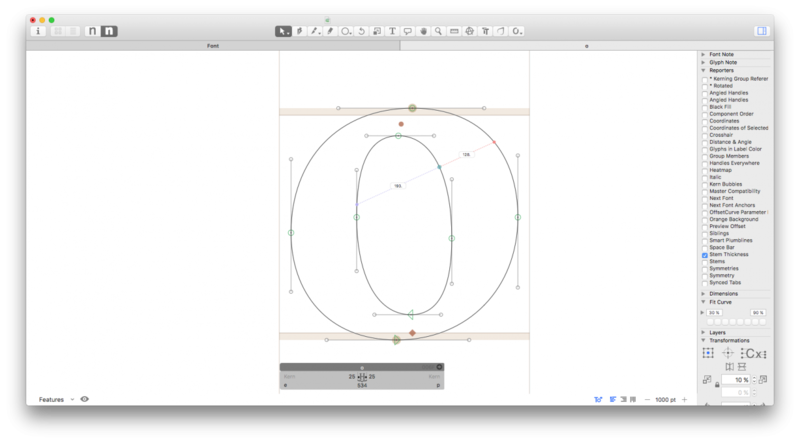 This small but useful script will show in a new tab all kerning pairs beyond a threshold value.